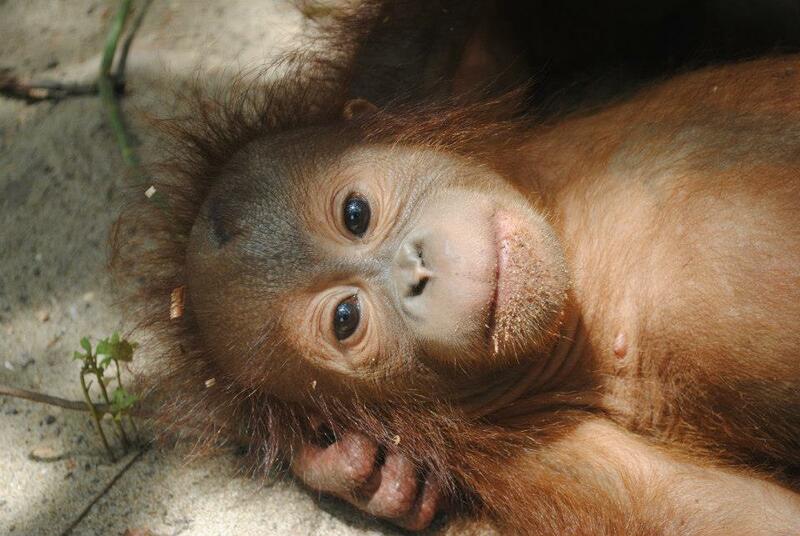 Rickina is being cared for at IAR Ketapang. 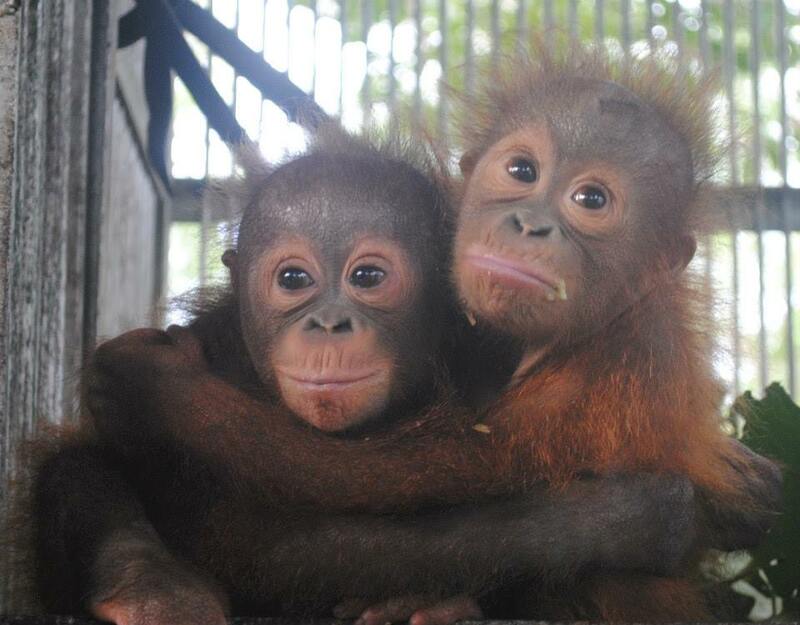 She was rescued in the capital city of Pontianak from a man who claimed that he had encountered a mother orangutan with the baby in the forest, and that the mother was so startled that she abandoned the baby and ran away. 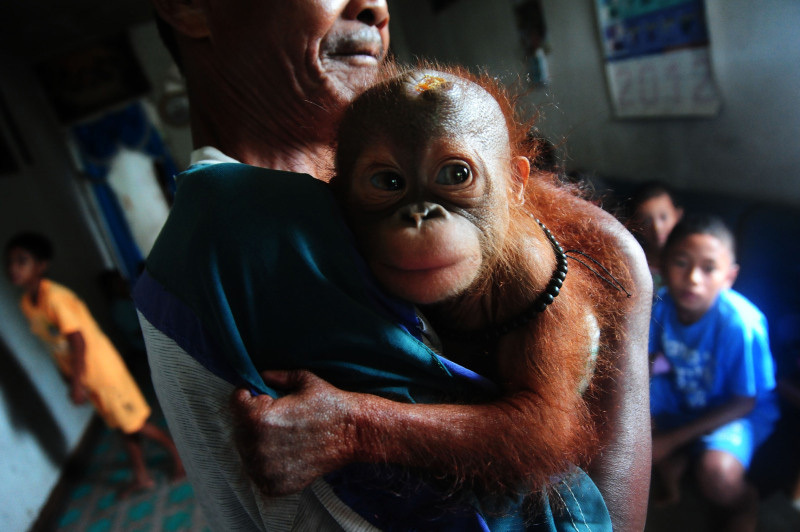 The man picked up the baby and in doing so apparently caused a gaping wound on her head with his machete… A mother orangutan will never leave her infant behind and will fight to the death to protect her baby from aggressors. So what really happened? YES! 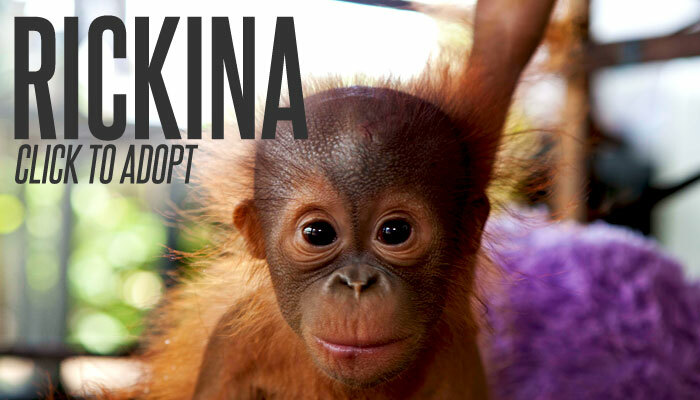 I want to adopt Rickina! Rickina has become an internet sensation with more than 4 million views on YouTube! Rickina is seen here with her boyfriend Rocky at left.